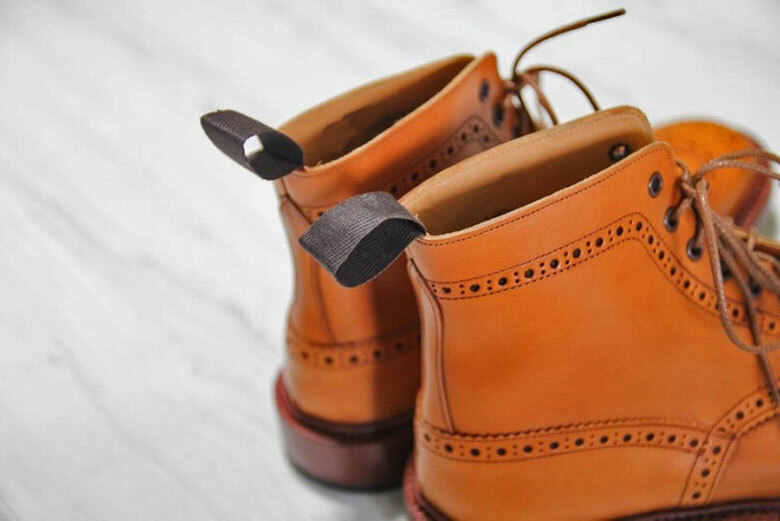 Tricker’s is one of the most reliable and trusted company when it comes to making shoes. 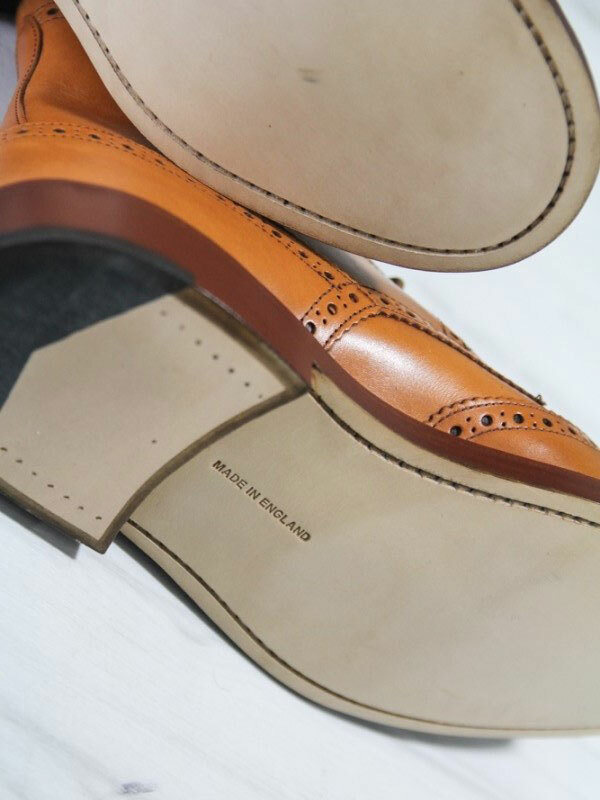 The classy dress shoes that are handcrafted to perfection are incorporated with genuine and quality calfskin leather. Initially apprehended to be just outdoor wear and hunting, Tricker’s is now making a fashion statement bringing in something fresh and unique, supporting a look for a variety of occasions. 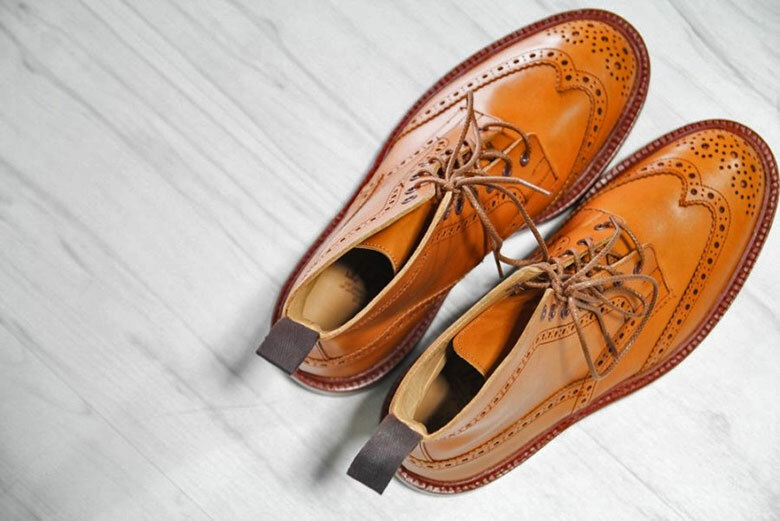 Tricker’s Stow and Grenson Fred are the two of the most popular brogue mid-priced boot on the market. With almost two centuries of history, both UK brands share some similarities in background, yet there are subtle differences in craftsmanship. Let me give you my thoughts on the Tricker’s Stow Boot. 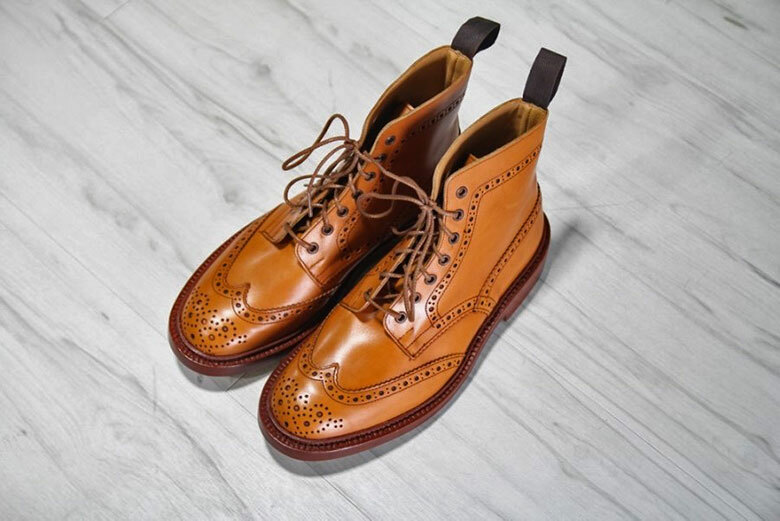 If you want to know more about Grenson Fred, please check out my Grenson Fred Brogue Boot Review. 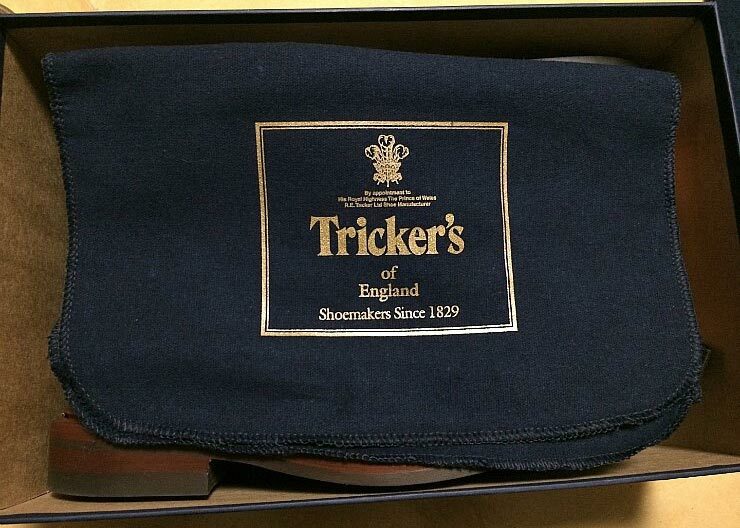 Tricker’s Stow Boot comes in a navy blue shoe box with the gold foil company’s logo inscribed on it. Inside the shoe box, you get a large polishing cloth and instructions on how to maintain the leather of your shoes. Not that it would matter, but Grenson Fred comes in a cheap looking box which is not the case for Tricker’s stow boot. 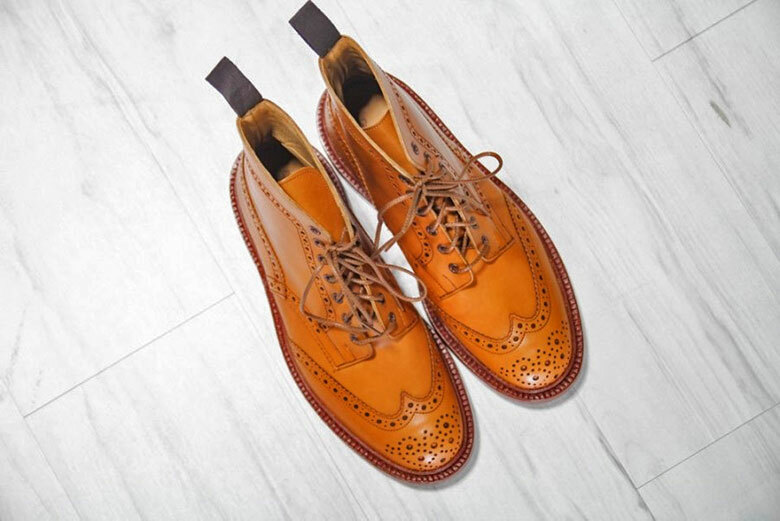 Tricker’s boots would be a bit wider than the standard measurement, which is the same for Grenson Fred. Tricker's boots are quite big at the toe - probably slightly bigger than the Grenson Fred. Unlike Clark’s desert boots, you would not have any problems with rubbing and blisters. Your heels would fit in fine. 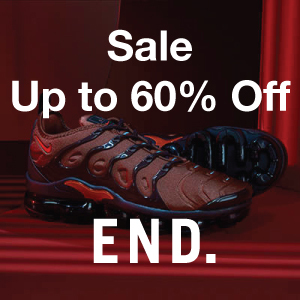 Plus the toe box is round and wide offering lots of space. You can snug in comfortably with a thicker sock. How do tricker’s boots fit? They are comfortable and absorb shock efficiently. I find that it is neither too bulky and though it might not fit perfectly, it does have a good grip. My suggestion is that you put on thicker socks. 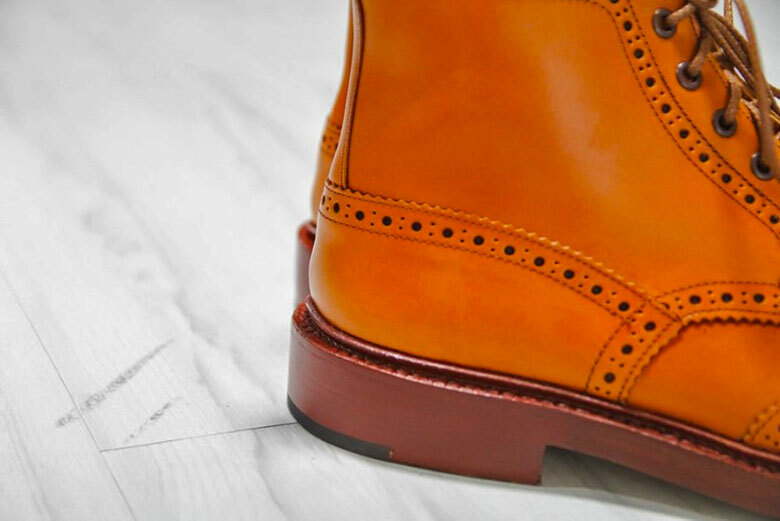 Tricker’s Stow Boot incorporates combination-tanned leather. Combination-tanned leather is an amalgam of chrome-tanned leather and veg-tanned leather. 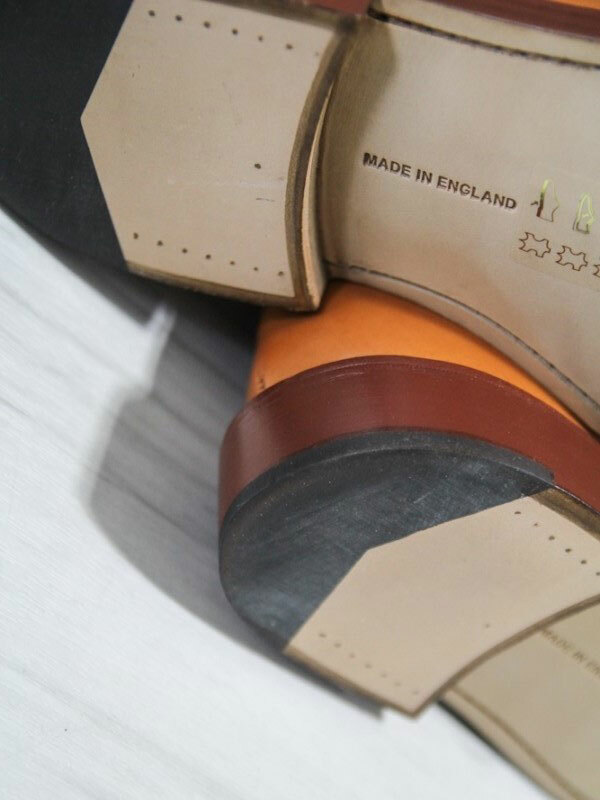 It undergoes various special treatments including a trade secret “special mulling concoction”, unique to all Tricker’s leather giving that exceptional quality and look. The final result is a golden, shiny leather which darkens and softens with time. If you want your boots to maintain their color and keep looking shiny, you would need to constantly apply shoe cream and polish. 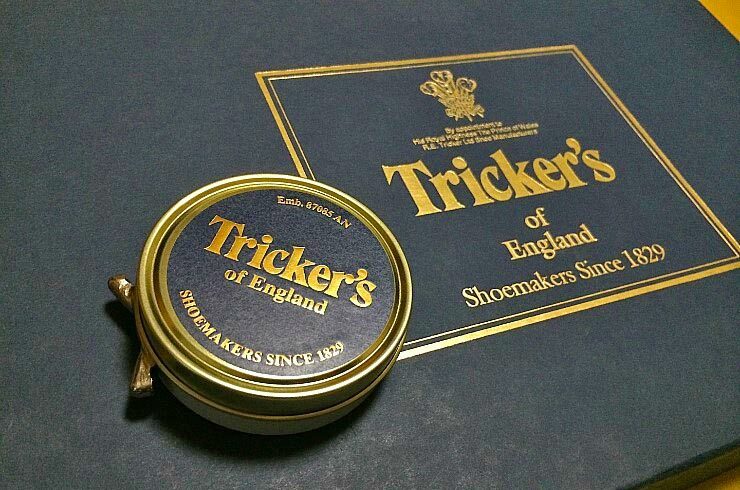 Tricker’s offers shoe cream and polish of various shades. 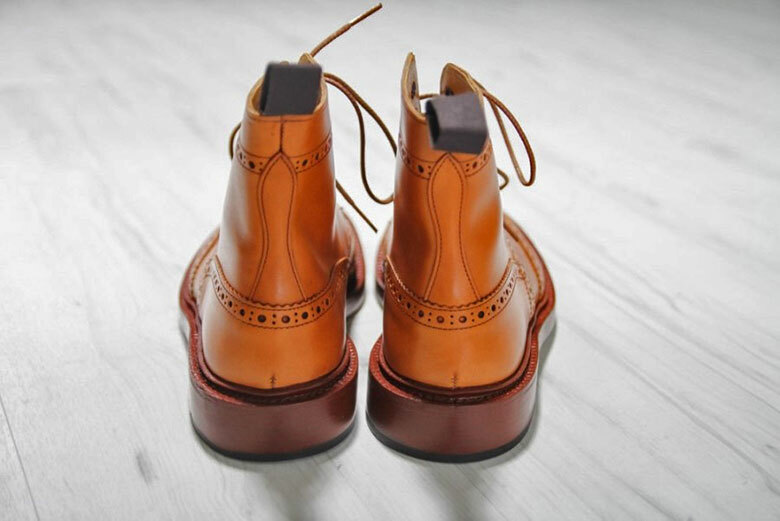 In comparison to Gaziano & Girling or Alfred Sargent, Tricker’s boots look more rustic and less refined. And as Tricker's boots age, they give off a more natural look. Tricker’s Stow Boot comes in three different types of sole: Double Leather, Commando, and Dainite. 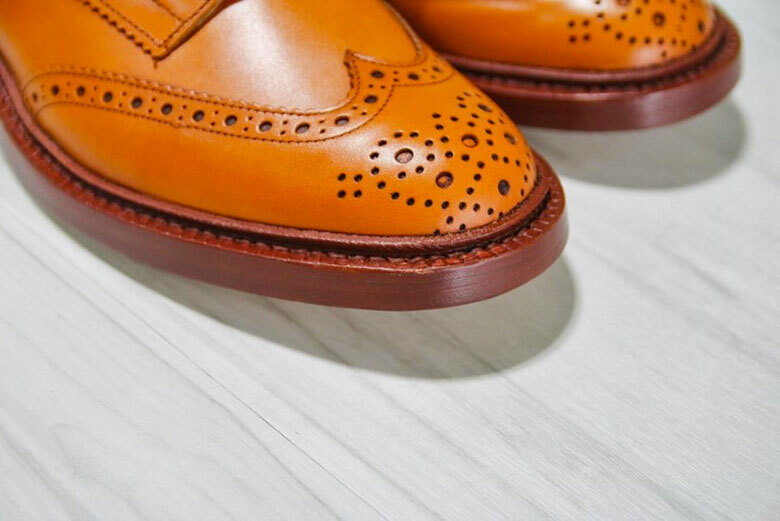 The double leather sole looks more sleek and elegant than it's Commando and Dainite counterparts, and therefore it's easier to dress up or dress down with. Commando and Dainite soles would be a better choice if you are looking for a more durable sole. The Goodyear welting around the sole appears to be nicely done. I have worn the boots in the rain and it effectively prevents water from sipping in. The stitching is very tight and consistent as you can see in the photos. The inner lining is made of soft calf leather. 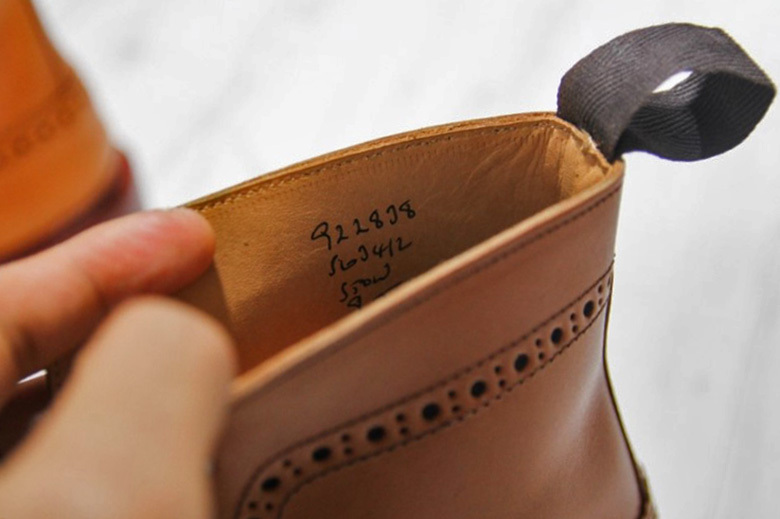 The handwritten number on the inside represents the specification, style number, name, and size of the boots. The leather insole is soft and comfortable and I don't have any issue wearing the boots for a full day walk. I noticed that the insole starts molding with my foot slightly after several wears, and I assume that's one of the reasons why the boots become more comfortable over time. Overall I would say the finishing is very solid. The double leather sole feels rigid at the very beginning, but the boots break in after like a weak of wear, and that is faster than my Red Wing boots. And once they break in they become very comfortable, and you can easily walk a few miles wearing it. Where are Tricker’s shoes made? 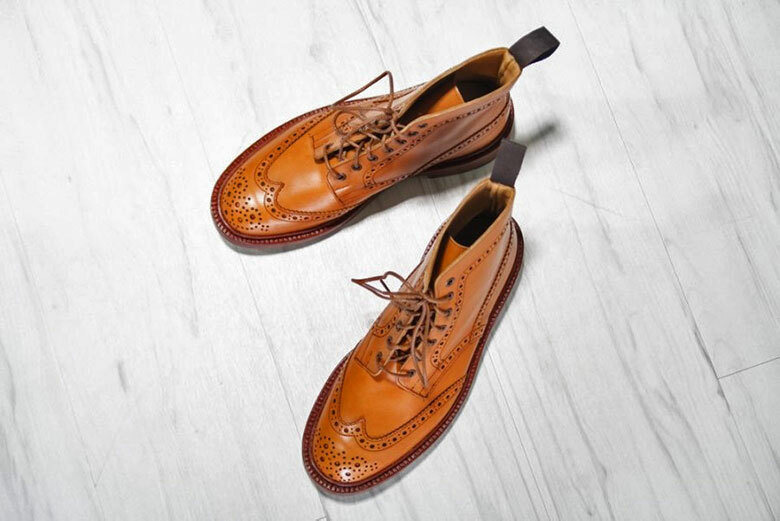 Tricker's shoes are made in Northampton, which has a long history of shoemaking for almost 900 years. 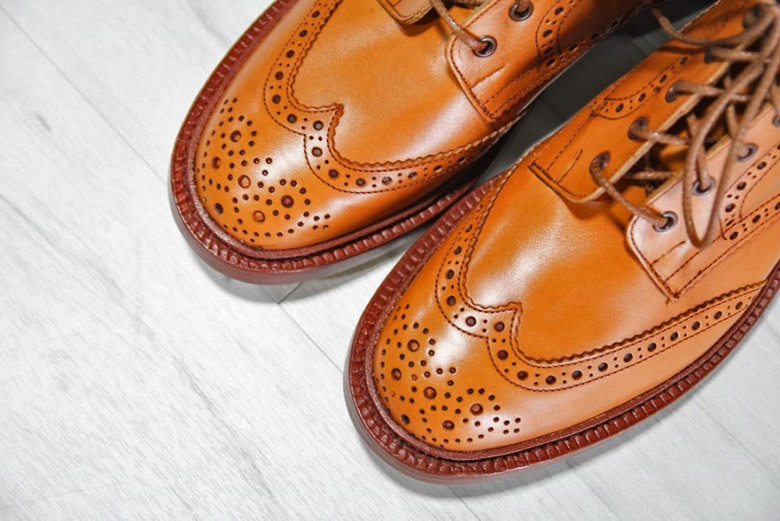 Most of the world's finest shoemakers, including Crockett & Jones and Edward Green, are also coming from Northampton. How to clean Tricker’s shoes? Taking care of Tricker’s shoes is pretty much the same as any other calf leathered shoes. Step 2: Apply shoe cream evenly to the boots with a cloth and rub it well. I would suggest you use a neutral shoe cream. The boots will be gradually colored towards the shade of the shoe cream if you use a colored shoe cream, which can be a problem if the shade of the shoe cream doesn't exactly match with the boots. Step 3: Apply shoe wax with a cloth and let it air-dry for a while, then buff the boots with a horsehair brush to make them shine. 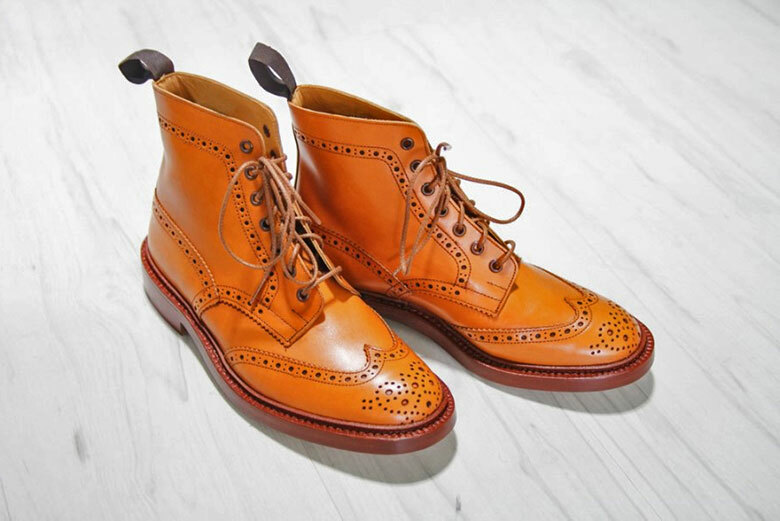 Tricker’s Stow Boot is more expensive than Grenson Fred. However, it is a quality product. Whether it’s worth the money, your mileage may vary, and there would be a lot of debate on that. Here are some pros and cons to help you with that thought. Finishing and welting are nicely done, making it very water resistant. Short break-in period and very comfortable once they break in.